Hundreds, if not thousands of bats have died in a scorching Australian heatwave that has hit the country this week, Sky News reported. According to experts in the field, the soaring temperatures, which have reached 113 F in Campbelltown, Sydney’s western suburb just last Sunday, the soaring temperatures “fried” the bat’s brains. A colony of flying fox bats that live near Sydney’s train station have felt the dire effects of the Australian heatwave. According to the Campbelltown Macarthur Advertiser, at least 204 individual deaths, most of them babies, have been recorded in the colony. “It would be like standing in the middle of a sandpit with no shade,” she said. The Australian heatwave has had a horrific effect on the country’s wildlife, with bats being the ones that suffer the most. The flying fox is Australia’s largest bat and it was recently listed as a “vulnerable” species. Under local laws, the bat’s survival is ranked as a “critical priority.” According to LiveScience, temperatures higher than 86 degrees F can be dangerous to these bats, as their bodies lose the ability to regulate their temperature. Help Save the Wildlife and Bushlands, a nature conservation group based in Campbelltown posted details of the dire situation their rescuers were faced with on their Facebook page. “As the dead bodies were recovered and placed in a pile for a head count the numbers had reached 200 not including the many hundreds that were still left in trees being unreachable, sadly a few adults were also included in the body count. It was a long and heartbreaking afternoon,” the post said. According to Sky News, rescuers were able to save more than a hundred bats from the scorching Australian heatwave, but many bats that were scattered across the ground and still clinging to trees had already died. 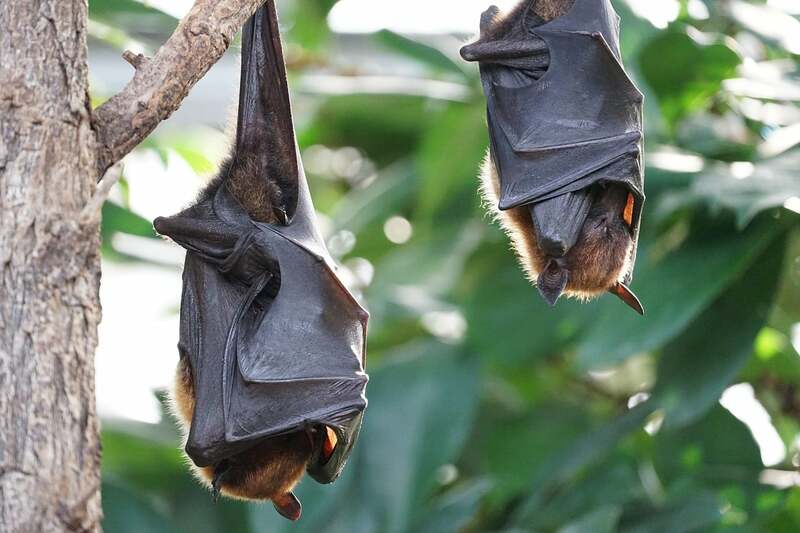 New South Wales Wildlife Information, Rescue, and Education Service (WIRES) stated that losses of bats to the brutal heatwave could run into the thousands. Bats, however, are not the only animals that have suffered from the Australian heatwave. A recent report from the journal Current Biology said that many sea turtle populations are in danger of high egg mortality and female-only offspring production due to the heatwave that has hit the Australian coasts. The heat in Southern Australia has reached beyond 86 degrees F in the past several days. The lack of both water and shade, a problem that most of Australia’s wildlife is facing now, has proved to be fatal for the flying fox bats, whose numbers are now critically low. The Australian heatwave is not limited only to Sydney – New South Wales, South Australia, and Victoria are all experiencing severe heat that has caused widespread bushfires that have managed to melt the bitumen on a 6-mile stretch of highway. According to the Australian Bureau of Meteorology, a weather station in the Sydney suburb of Penrith recorded a reading of 116.78 degrees F on January 6. The temperature is the hottest recorded in the Sydney metro area since 1939, when, according to LiveScience, a nearby station recorded a temperature of 118.04 degrees F.
Gerald Meehl, the head of the climate change research section at the U.S. National Center for Atmospheric Research (NCAR), said that climate change is tilting the odds toward more heat waves in Australia the very near future. “They’re occurring under the framework of background temperatures being warmer, so a naturally occurring heat wave becomes more intense,” Meehl told Live Science. Agreeing with Meehl are local meteorologists, who say that the most extreme Australian heatwave is expected to abate in the coming days.